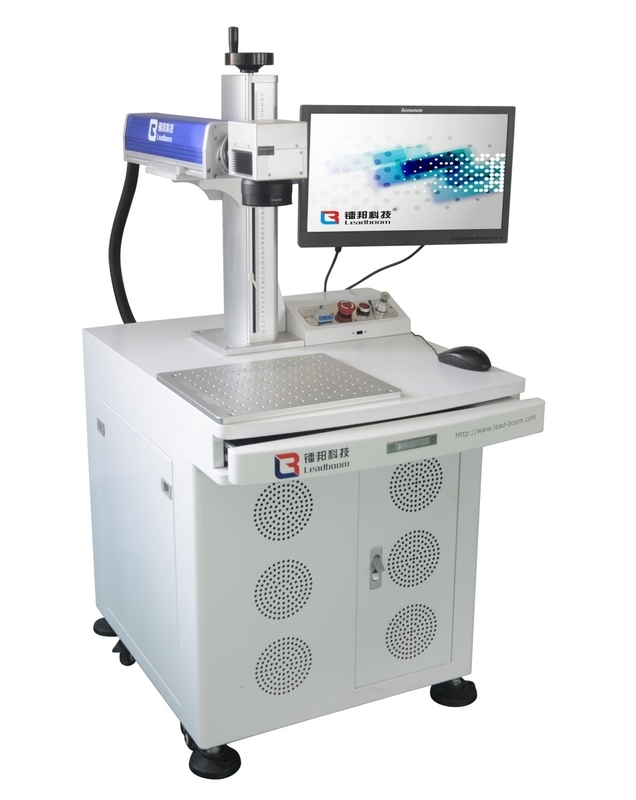 Fiber Laser Marking Machine adopted original fiber laser source and high speed galvanometer scanning system with stable power, excellent optical mode, beam with high quality, fast marking speed, good effects and high efficiency, it can meet the demand for mass production. a . Using the third generation of optical fiber solid laser, the electro-optical conversion efficiency of pump light source can reach to 80% after fiber coupling. Higher beam quality, long use time, laser life can reach 100000 hours(Lamp pump YAG is around hundreds of hours, semiconductor is around 10000 hours). b . Perfect beam quality achieved the highest and excellent marking effect. And it has great advantages of doing anti-white,matte,chromatic...on the stainless steel. 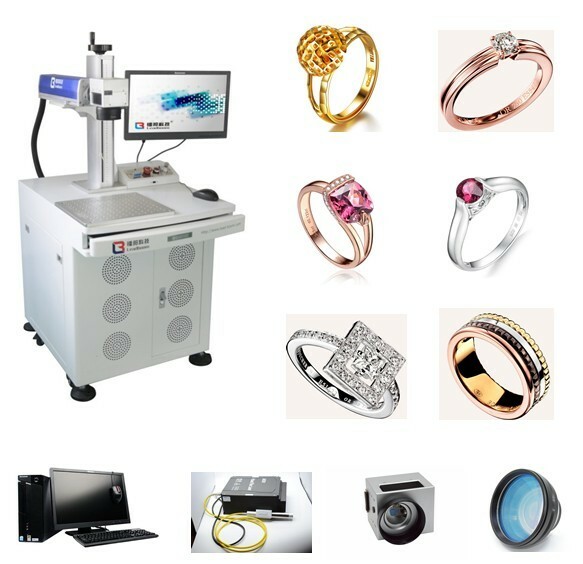 c . Adopted imported high-speed scanning head, and combined with software makes engraving very fast, so the processing speed is 3 to 5 times quicker than the ordinary YAG and DP semiconductor. d . Air-cooling, no consumables, free maintenance, save power and energy(total power is 500W), low cost of latter usage, the annual electric savings would be around USD3000-5000. e . High electrooptical efficiency: integrated electooptical efficiency reaches above 20%, greatly saved power consumption and operation cost. f . Absolutely environmental marks without intermediate mediators involved in processing, completely in conformity with ROHS Standards. g . Integrated modularization design, convenient maintenance, and the small volume can save more space. h . Support JPG, PNG, BMP, PLT, DST, DXF, CDR, AI, DSB, GIF, MNG, TIF, TGA, PCX, JP2, JPC, PGX, RAS, PNM, SKA, RAW and other documents, and can form the serial number,production date, bar code and QR code automatically. i . Optional rotary workable and other automated matching system. Industry: plastic keypad, components of digital products, electronic components, electrical appliances, jewellery, precision machinery, hardware accessories, glasses, clocks and watches, vehicle and motor accessories, sanitary ware, communication products, medical devices, integrated circuit(IC), building material, pipe materials, more suitable for the marks of high demand of accuracy, speed and depth. Materials: metal and various nonmetal materials, high hardness alloy steel, oxide, electroplating and vacuum plating, epoxy resin, printing ink, ABS and other engineering plastic. Delivery Within 3 working days for production, we will arrange delivery after received the total payment. Firstly, Packed the machine with plastic sheet for clearing and damp proofing. Secondly, Then put the machine in the plywood case for safety and clashing. Thirdly, Transport the plywood case into the container. 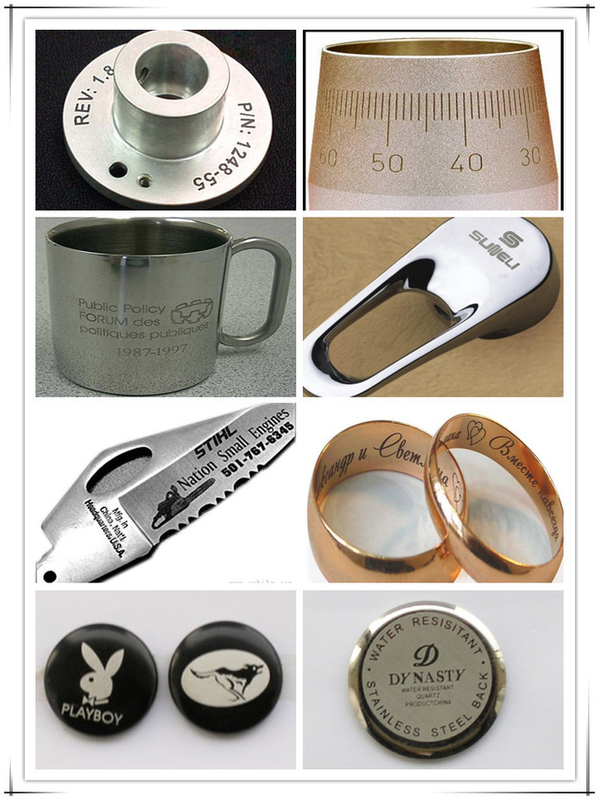 Co2 Laser engraving machine for wood, plastic and other non-metal material . 10w 30w. China Good Quality Fiber Laser Engraving Machine Supplier. Copyright © 2016 - 2019 fiberlaserengravingmachine.com. All Rights Reserved.